Apple has revealed its two new phones i.e. iPhone 5S and iPhone 5C. Here is a detailed comparison in between iPhone 5S and Galaxy Note 3.
ed as a powerful multitasking phone. Some of its features include a Touch ID (it is a fingerprint identity sensor which is included to increase the security of the phone), retina display of 4 inches, camera of 8 megapixels, ultra fast LTE wireless, iOS 7, resolution of 1136 x 640. Dimensional features of this phone are 0.30 inches of depth, 2.31 inches of width and 4.87 inches of height. This phones works on a chip of A7 along with architecture of 64 bits and a coprocessor of M7 motion. Camera specifications also include photo geo- tagging, burst mode, panorama, face detection, tap to focus, autofocus, Hybrid IR filter, five element lens, sensors for backside illumination, True Tone flash, Sapphire crystal cover and f/2.2 aperture. Now let me tell you something about new technology related to Touch ID. You generally touch your phone to hear a song, for browsing, for taking pictures, texting etc. All these things happen because of a single tough of your finger. But in these phones touching of your finger is taken to a whole new level. Along with Touch ID now you can password protects your phone with your fingerprint. I guess your finger print is a perfect password for you and you are always having with you. Also no one can guess about your password and your phone will also remain safe as it can only open by your finger print. More importantly you do not need to memorize your password. 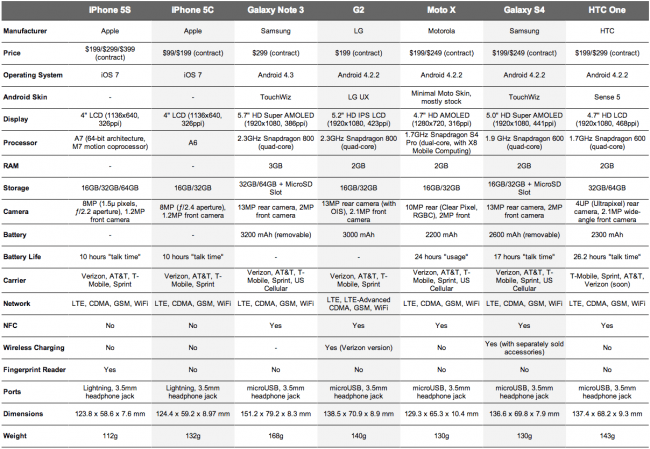 A phones value cannot be determined until it is compared with its competitors. So Samsung Galaxy Note 3 is in competition with new Apples new technology. FULL HD Super AMOLED display of 5.7 inches. Android 4.3 (Jelly Bean) – One of the latest operating system with TouchWiz UI, loads of features beneath. Long lasting battery at 3200 mAh its great. It is featured with a latest technology i.e. CAT 4. This LTE technology supports huge number of multiple frequencies. It is also powered with the mobile industry’s largest RAM of 3GB. The processor i.e. Qualcomm Snapdragon 800 is one of the fastest quad cores in industry and benchmarks shows that. And of course, how can we forget the use of stylus called as S-Pen which makes Galaxy Note 3 having one of the fascinating features. Retina display of 4 inches – which is still same as iPhone 5. We expected Apple to increase the size but I think they want remain there only. New feature of finger print identity sensor. 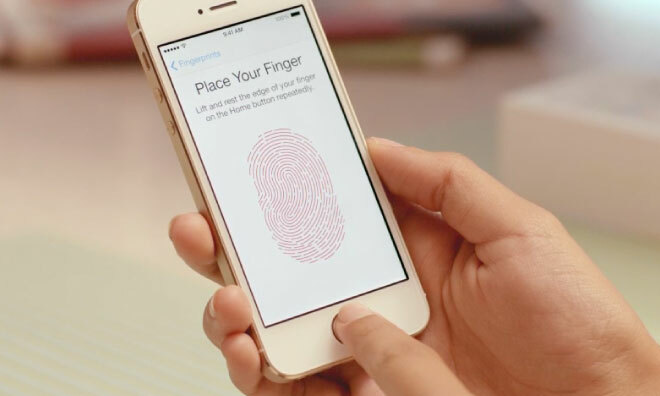 The Touch ID, your home button key is now also a fingerprint scanner. 64 bit architecture with A7 chip – This chip is said to be two times faster than iPhone 5 and benchmarks have revealed the truth. Co- processor of M7 motion – this processor will help in features like gyroscope, accelerometer etc. Summary : One has to understand that these both are very different devices and they provide awesome experience to the end user. 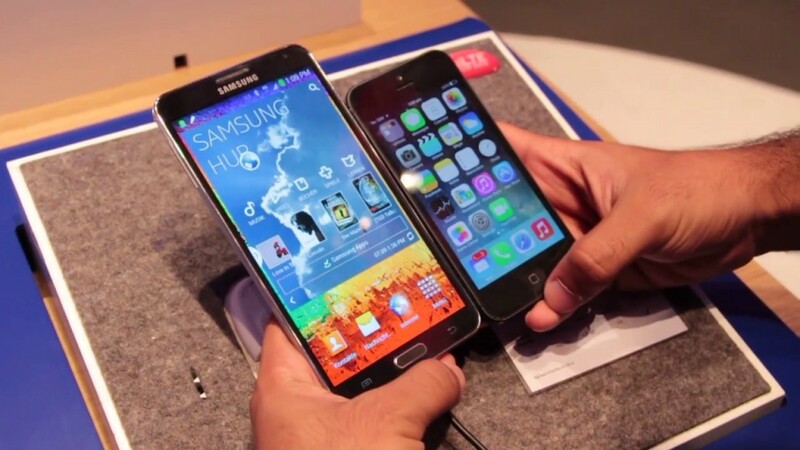 However Galaxy Note 3 is much much bigger at 5.6" than Apple iPhone 5S at 4" display. One has to device themselves if they end easy one-handed operation or can use both hands all the time. We are more inclined towards the Galaxy Note 3 because of Android Operating System it has which provides loads of features in itself which Apple is trying to beat with their latest iOS 7. Alok Saharia is a passionate tech and fashion blogger - a fashion, trends and Android lover. While not being around in online world, he loves reading books and exploring the physical world. The mystery of Solitaire – What makes this basic game so popular?